Toptalers and guests, you’re invited to a special dinner and discussion taking place February 16 at 7:00pm. What are some of the cryptology challenges in the Blockchain space? How do we confront these obstacles to create stronger, more robust products? Let’s get together, share some of our own experiences, and help each other strengthen our awareness and ability to learn from both good and bad outcomes. 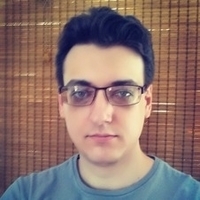 Artem Mezhenin, a Toptal developer will host. All Toptalers and their guests are welcome; it’s a wonderful opportunity to get to know your colleagues and to introduce your contacts who may be interested in learning more about the Toptal community. Attendance is limited. You must RSVP on this page in order to have a guaranteed seat. For questions or more information, please contact Artem directly.